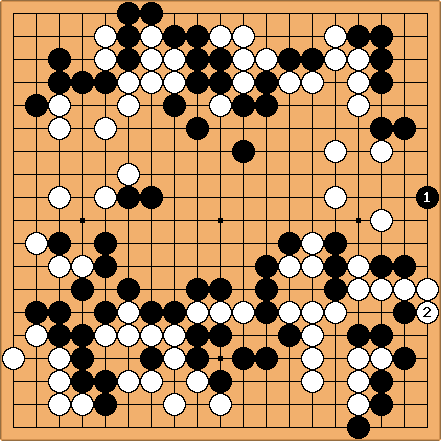 Where would you play now as White? Answer: c was the move I played in the game, but it was too slow. a is the focal point, but a club member suggested to keep Black separated with b. Does work? Answer: this exchange is probably best for both? If at , then at a. If at , then at b. 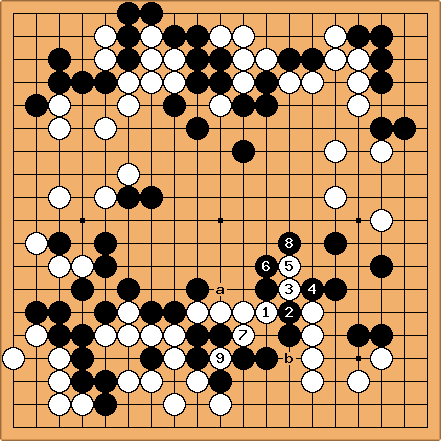 White has a tesuji on the right side. Answer: makes miai of a and b. 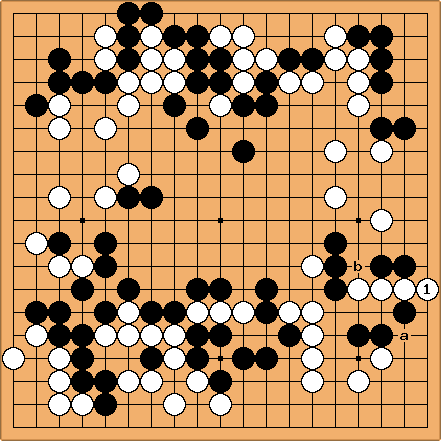 Black's last move was a bit greedy. White to play now. Answer: kills the corner. 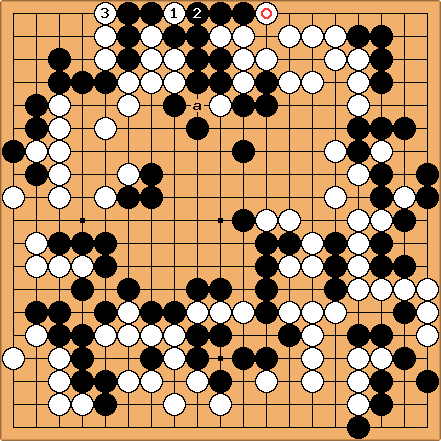 White's final come-back. The sneaky preparation is at . 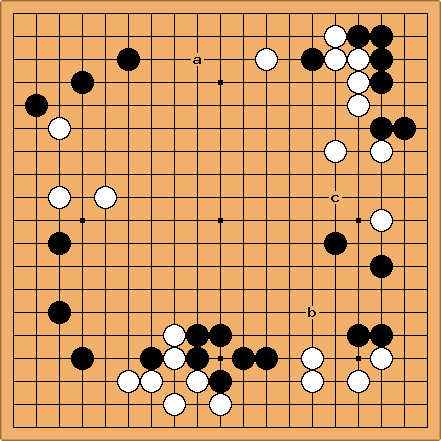 Answer: - and Black cannot connect at due to damezumari at a.